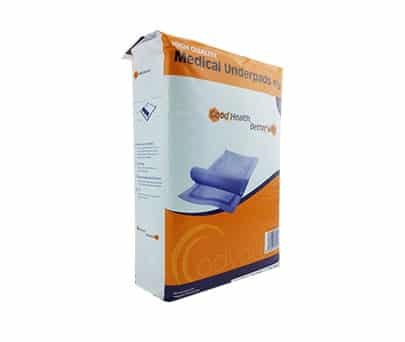 Looking for a manufacturer of high standard Foley catheter or other incontinence products? 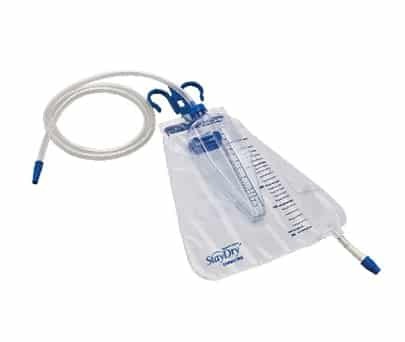 please INQUIRE WITH US to become an official StayDry foley catheter distributor. 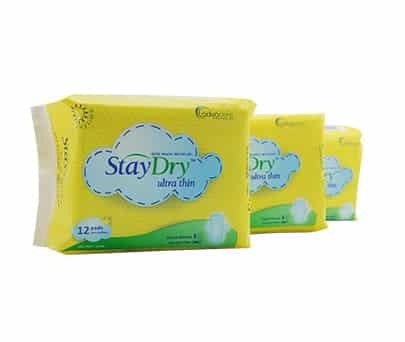 StayDry Foley Catheters drain urine in the bladder and are used by patients whose bodies are unable to control urine by themselves. The cause of this situation could be urinary incontinence or urinary retention. 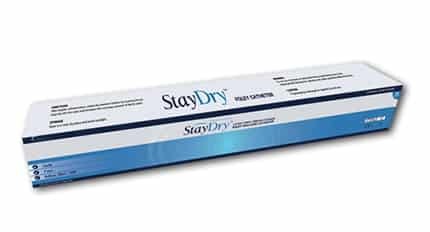 StayDry Foley Catheter is available in a wide range of high configurations that provide comfortable feeling at an affordable price to effectively satisfy the demands of our international distributors. 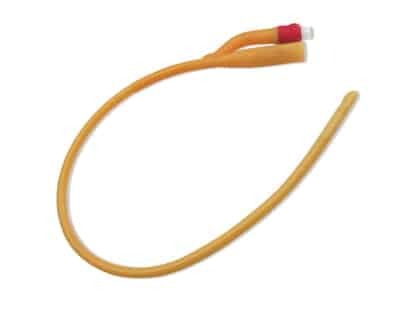 The Foley Catheter is the most common type of indwelling urinary catheter and is used to drain the urine for patients who are unable to do this process by themselves or whose urine output must be constantly and accurately measured. The Foley Catheter consists of three parts; the balloon, the drainage tube and the bag. 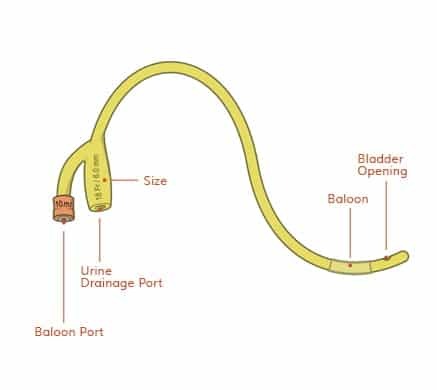 The catheter is held in the bladder by a water-filled balloon, which prevents it falling out. We offer both Pediatric and Standard catheters in 1-Way, 2-Way or 3-Way. The Urine is drained through a tube connected to a collection bag, which can either be strapped to the inside of your leg or attached to a stand on the floor. Most indwelling catheters are not suitable to remain in place for longer than three months, so they need to be replaced regularly. To guarantee the highest quality and comfort level, the Foley catheter is produced with the best quality material. 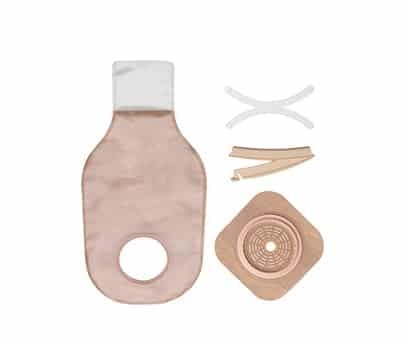 The Foley catheter is made with a medical grade PVC construction and is made out of Silicone-coated Latex. 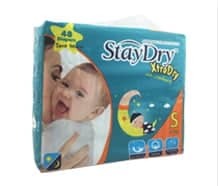 StayDry Foley catheters are ISO, CE and USFDA certified. We offer various types with several balloons according to patients’ status. 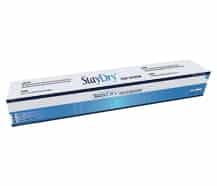 Understanding different needs based on symptom of patients, StayDry offers Foley catheter in various types and sizes. 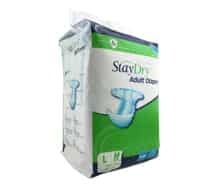 StayDry Foley Catheters are made of only top quality materials in order to assure the highest standard of quality to the patients. How to Clean The Foley Catheter? 1 When the bag is empty, clean the tip of the drainage valve with an alcohol wipe. 3 Re-insert the drainage tube into the pocket, if there is one. 4 Wash hands well before and after cleaning your skin. 5 Clean the urethral area with soap and water once a day. You should also clean after every bowel movement to prevent infection. 6 Avoid pulling on the tubing when cleaning so you don’t injure the urethra. 7 Check the tubing. If there are kinks, cracks, clogs, or you can’t see into the tubing, you’ll need to change to new tubing as you were shown by your healthcare provider. 8 If the current tubing can still be used, wash it with soap and water. Always wash the tubing in the direction away from your body. Avoid pulling on the tubing. 9 Dry the tubing with a clean washcloth or paper towel..
How to Drain The Folley Catether? 1 Wash your hands well with soap and water to prevent infecting the urinary catheter and bag. 2 If the short drainage tube is inserted into a pocket on the bag, take the drainage tube out of the pocket. 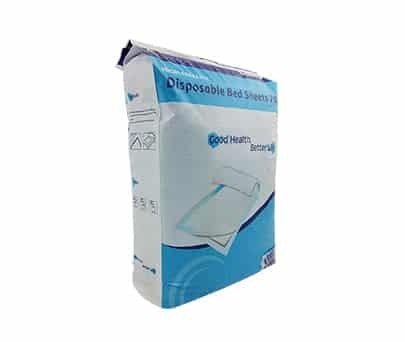 3 Hold the drainage tube over a toilet or measuring container. Open the valve. 4 Don’t touch the tip of the valve or let it touch the toilet or container. 5 Wash your hands again. I see some blood or urine around where the catheter is entering my body, is this normal? A: You may see some blood or urine around where the catheter enters the body, especially when walking or having a bowel movement. This is normal, as long as there is urine draining into the drainage bag. What do I do when my foley catheter becomes clogged? A: When a foley catheter becomes clogged you have to flush it or replace it. Leakage can be a sign that the catheter is blocked, so it's very important to check that the catheter is draining. Will I have a higher risk of getting a UTI while using foley catheter? A: Yes, the risk of getting a UTI is slightly higher when using a foley cather because it is easier for bacteria to travel up to the bladder, where the urine can become infected. Therefore, please do not take out foley catheters without having enough medical knowledge and experience. How do I recognize a foley catheter associated UTI? If you have any of these symptoms please contact your doctor.